While we were apprehensive about writing a travel guide to ‘the Other Place’, we concede that Cambridge really is a stunning tourist destination. Quirky, ancient and brimming with tradition and history, the leafy meadows and riverside lawns give Cambridge a tranquil atmosphere quite unlike it’s more urban rival, Oxford. Strolling through the narrow, cobbled streets and soaking in the picturesque, timeless architecture, it’s no wonder this university town continues to capture the hearts and minds of tourists as it has done for centuries. Let’s take a closer look. Our StashPoint at Campkins is directly opposite King’s College in the heart of the city — you can’t get more convenient than that. As with its older, more charming rival, life in Cambridge centres on its ancient colleges — all 31 one of them. And between them there is a wealth of architecture, history and beauty to enjoy. It is important to keep in mind that each college will have its own admissions policy, and it’s always best to check what these policies are in advance of your visit. While each college has its own unique charm, there are some obvious titans in the tourist stakes. King’s College in particular is renowned for its majestic chapel and world-beating choir. If you’re sticking around slightly later, it’s well worth sticking around to try and catch the Choral Evensong here, sung most evenings during term time. Naturally, you would expect Cambridge to lead the way in terms of museums, and The Fitzwilliam doesn’t disappoint. 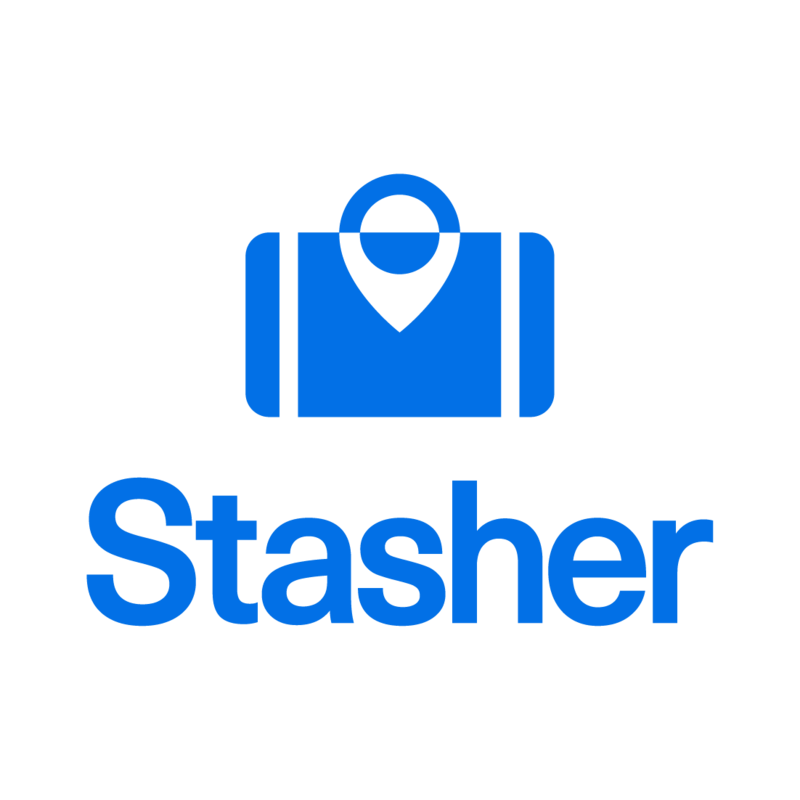 With over half a million works of art in the collection spanning two millennia, there’s plenty in here to keep you occupied for hours. Peruse Picasso, marvel at Monet and explore one of Europe’s best collections of ancient Egyptian, Greek and Roman artwork (not to mention coins, pottery and manuscripts…). There’s no doubt you’ll come away feeling educated, refined and ready to sit that admissions test. It’s here where we have to offer a further concession to ‘the Other Place’ — the punting in Cambridge really is something else. With the jaw-dropping beauty of the riverside ‘backs’ of the colleges (that is, the sprawling lawns that lead down to the river), there’s few waterways in the country that could claim to offer such a scenic experience. In a mere 45 minutes, you can get a glimpse of some of the most iconic architecture in Cambridge from a totally different perspective — the Bridge of Sighs, the Wren Library, and of course numerous colleges. Pack a picnic (and a lot of champagne) for added hilarity. There are a number of companies operating on the Cam, offering bespoke tours, low-fare deals and a range of options to cater to your needs. 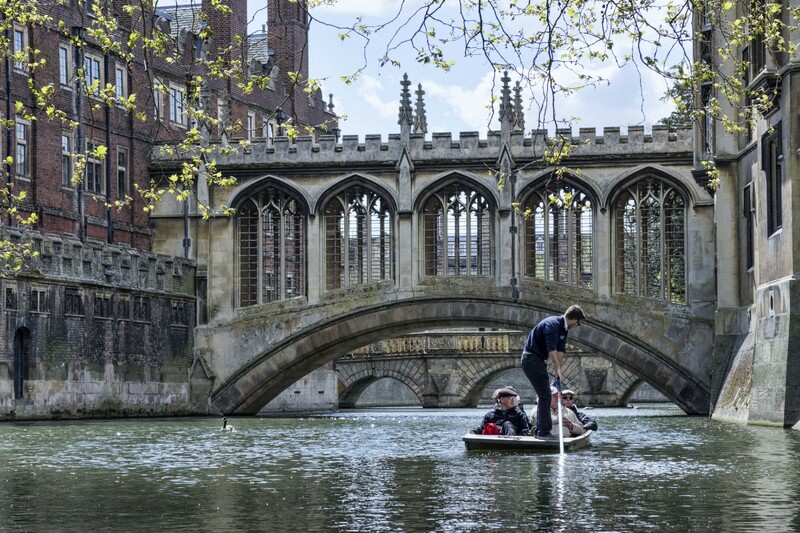 No visit to Cambridge would be complete without a boating experience! If you’re looking for food with a view, then The Cambridge Chop House is hard to beat. Located in the heart of town, the window seats offer a vista onto the majestic facade of King’s College, next to which you can enjoy hearty, no-frills English comfort food washed down with a range of local ales. The rustic, vaulted cellar that serves as the setting is about as Cambridge as it gets, and we hear the wine list is not to be sniffed at either. For something more international, then check out Cotto. Innovative and modern, and boasting an incredibly well-curated European menu, this is a place that is guaranteed to impress with its sophistication. The venison Wellington in particular has been the subject of some truly rave reviews — and let’s not even get started on the presentation. And now for another restaurant with a view. Don Pasquale is a true Cambridge institution, serving generous, fresh pizzas at some of the best prices in town since 1973. Even better, nestled on the corner of the Market Square, this homely Italian restaurant provides a great setting to eat al fresco and watch the world go by in one of Cambridge’s most charming settings. Historic pubs abound in Cambridge, and The Eagle is easily among the best of them. Dating back to the 16th century, The Eagle has played host to some astonishing events, including the announcement of the discovery of DNA! 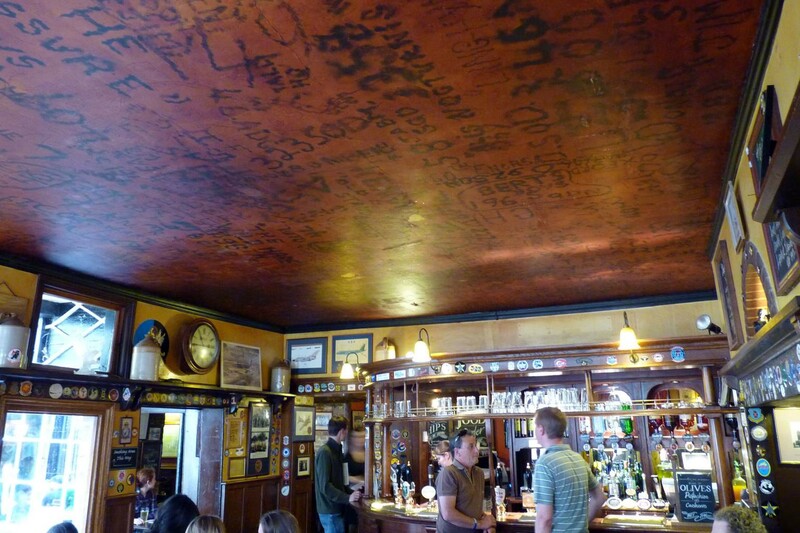 The pub is perhaps best known for its RAF bar — covered in the graffiti of British and American WWII pilots who inscribed their names and squadron numbers on the walls and ceilings. Oh, and the beer isn’t too bad either. 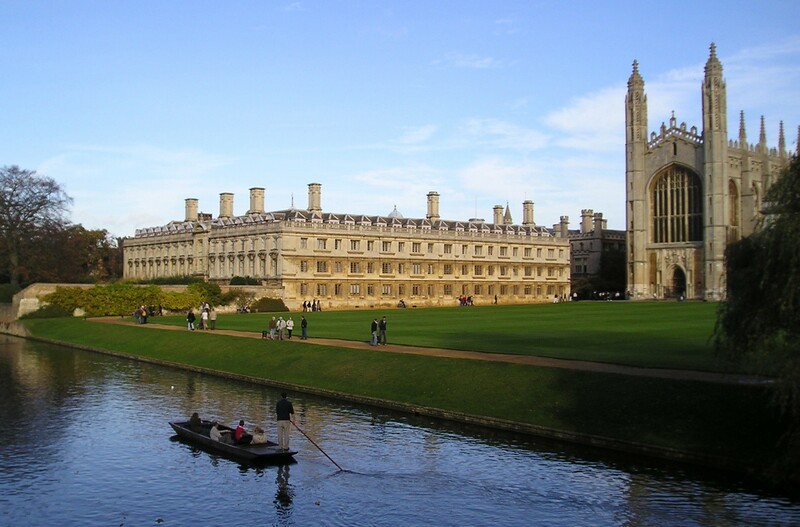 While hard-pressed to make any overly-complimentary suggestions about Cambridge, our very own Anthony says it’s well worth exploring all the wider offerings the University has opened to the public, including the Botanic Garden, the amazing art collection at Kettle’s Yard and the Museum of Archaeology and Anthropology, as well as the huge number of expansive college greens and parks.